Great Neck / Top Floor / Jr 4 Co-Op Can Easily Be Converted To A 2nd Bedroom / Scenic Garden Back Of Building View / Immediate Parking / Nobody Lives To The Right-Left-Top-Back Of This Unit / Laundry Next To Apt / Lakeville + South / Near Bus To Flushing / Express Lirr To Penn / Town + Parks / Great Bones But Needs Updating To Make It Your Own / Good Bld / Great Apt! 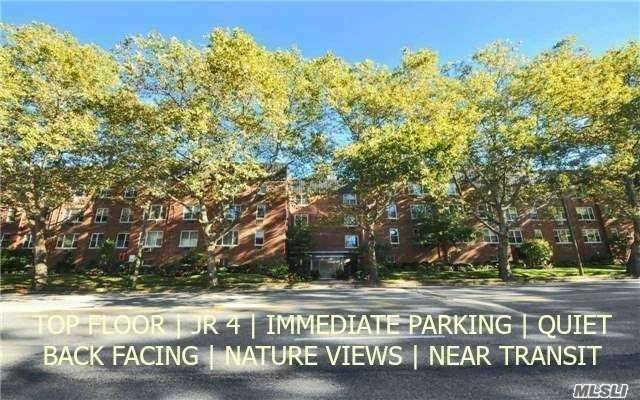 / Don't Wait / Low Inventory Of 1 Jr 4'S In Great Neck! / Buying Season Is Starting - Don't Be Left Out!